Storytelling has always been a part of communications. And as a fair chunk of PR has migrated to online, the concept has become even more noticeable. First came blogs, which allowed storytelling to become optimised. As online mirrors of copy-based communications, it was easy for blogs to replicate the style and function of traditional storytelling techniques. However, as digital communications has shifted from blogs to social media platforms, we need to ask ourselves: can the same principles of storytelling still be applied? In short, the answer is yes, but this does not mean that storytelling is the same as it was. Rather the nature of storytelling has changed – evolved even – in line with the new digital era. First to examine how blogs and social media function differently. A blog is a multi-paragraph format that allows the author to craft various extended messages. In contrast, the likes of Facebook and Twitter limit content. A message has to be delivered in short bursts of texts — one or two sentences at most. Reach is also different. Whereas on a blog platform, the reader may have found the blog post through a shared interest or a specific keywords search, a social media audience is more indirect, most often accessing a message through a timeline or content feed. As such, audience attention spans are notoriously short – five seconds or less for each post — so each message needs to be positioned perfectly. So what does this mean for storytelling? For one thing, it makes it much more difficult. Telling a story in one or two line is an art form in itself, not to mention the challenge of trying to grab the attention and interest of a non-committed audience. At the same time, though, getting digital storytelling right can lead to a much deeper level of communication and engagement. In terms of copy, it is important that basic elements of storytelling are being adhered to. Does your post contain an introduction — an initial point of interest to intrigue the reader? Does it have a narrative or is it simply introducing an event or product? Have you incorporated a climax or twist? Is it short enough to communicate the message in a manner concise enough to communicate the message to the casual readers? 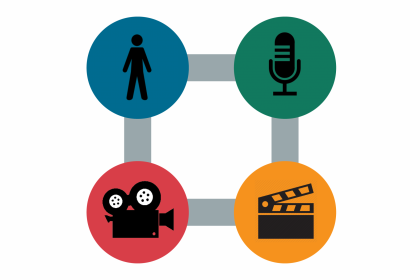 A second important consideration for digital storytelling is the use of imagery. More than ever before, images perform a central role in the storytelling process. An image is as powerful for delivering a message than any long-form copy. Again, we need to ask a number of questions. What is the image trying to say? Is the core of the message clear? Is the construction of image effective? Are the image and text complimentary, or are they just duplicating the same message? Social media is different to a blog, which is itself different to a magazine or newspaper. For storytellers, the challenge remains the same — engaging your audience and communicating your message. However, by adapting for new platforms and new consumption habits, we will enter into a new era of digital storytelling. Despite the presence of some clouds, the stars were out and shining at Shanti Business School this night. 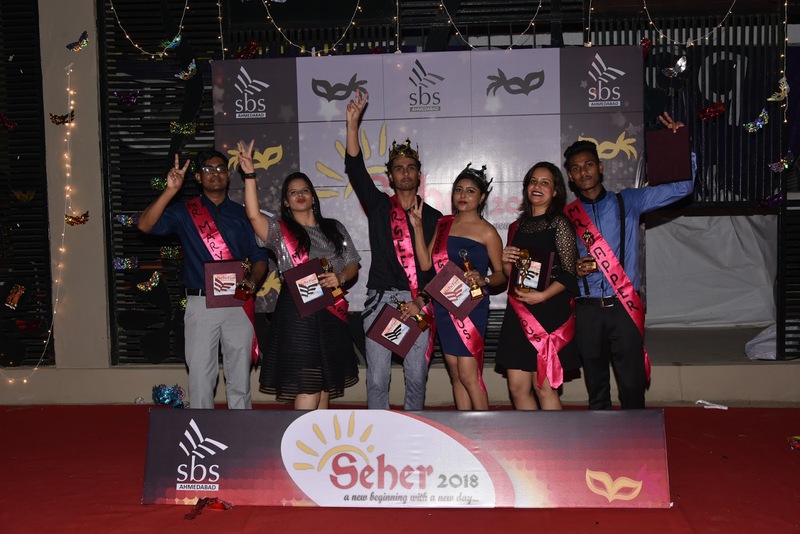 Seher,2018 - the Fresher’s Party of SBS PGDM batch 2018-2020, had come up with yet another unique theme of geek and gorgeous. 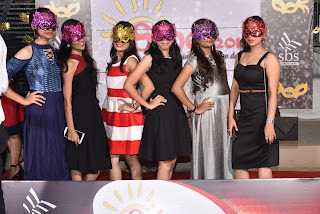 And true to its title, the event was full of fashion and interesting geeks and beautiful ladies covered with masks. Every participant was dressed and domed to match the theme in order to demonstrate the oneness and cheerful camaraderie of SBS students. It was indeed a nostalgic night with DJ beats and delicious food augmented more curiosity and eagerness in the students for upcoming events at SBS Student Council committee said “We have selected this theme as it gives full opportunity to every student to present themselves the way they want to be.” It was a visual delight, watching the freshmen students walk the ramp. The audience applauded the contestants for Mr. and Ms. Fresher for PGDM batch-2018-2020. Sunanda Banik was crowed Ms. Fresher 2018 titled as Ms. Gorgeous 2018, and she said “Every single day spent in college is part of the cherished memories and now becoming a Ms. Fresher is like gathering more happy memories, it makes me feel special”. Devashish Pandey was crowned Mr. Fresher 2018 titled as Mr. Geek 2018. The first and second runner ups winners were Ms. Sakshi Singh as Ms. Mystic 2018, Mr. Rohit Bag as Mr. Marvelous 2018, Ms Nidhi Chauhan as Ms. Devilicous 2018 and Mr. Vivek Kumar as Mr. Dapper 2018. The participants were asked incisive questions by their seniors, which were the part of overall assessment. The SBS Plaza was decorated as a giant “Gazebo” with mellow lights and paper lanterns and beautiful masks. It was no less than a fashion show. The evening started with the couples setting ablaze the ramp, heading towards a glam photo shoot. It was a delight to see the theme well appreciated with lavish tuxedos by boys and trendy beautiful gowns by girls. 1. Fundamentals – Most Industry experts strongly believe if a candidate is good with his fundamental knowledge – it will be easier for him to channelize any major or minor tasks. A fundamentally strong candidate will take less time to deliver the results irrespective of complex nature of a problem. 2. Problem Solving – Logical thinking and Problem Solving skills are major “Go to” for recruiters. Companies like Google believe if a person has an ability to do problem solving they will definitely be able to absorb new things and will be far ahead of their competitors. 3. Communication Skills – Hiring Managers are looking for candidates with ability to communicate effectively with clients, colleagues at all levels. Weather it is written or verbal; they both play a critical part in selection. 4. Integrity – Subject knowledge is one thing and character build up is another. Our value system also plays a critical role in selection. A person with high level of integrity towards his job is always well regarded. In this age of swift digitization, big data analytics is empowering enterprises to sum up tasks in real time with unexceptional ease. Data science and analytics are reshaping marketing strategies and has opened new doors for profit growth and business expansion. 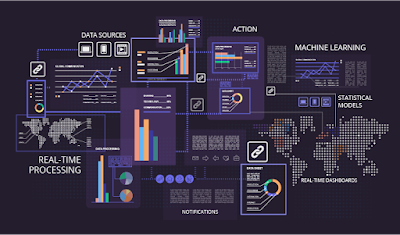 Data science and analytics incorporates statistics, mathematics along with other strategic scientific mechanisms to analyze data which is mounting with each passing day. The entire data which an unit has power over be it regarding asset maintenance or any other equipment, workforce payment and attendance, distribution, customer growth or something else, data can enable it to procure a comprehensive expansion plan. Furthermore, data science also creates streams to get a detailed understanding of a possible scenario when it comes to a specific expansion. 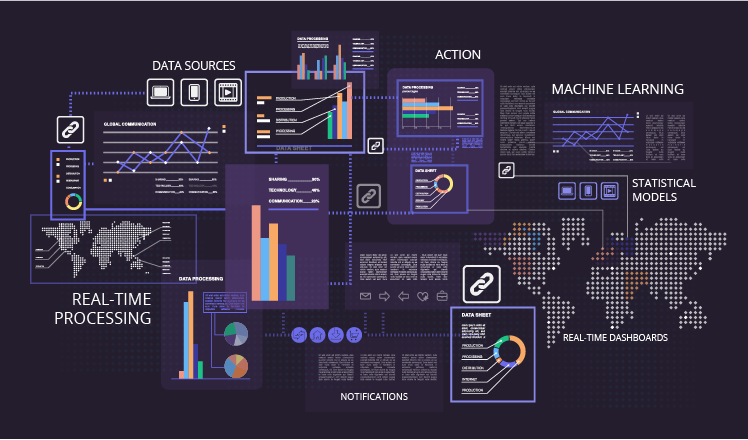 Diving deeper, data science is also facilitating competition analysis helping businesses understand the key areas where they need to zero in their focus to stay ahead in a fiercely competitive environment. Strategic insights of business performance have also made it convenient for enterprises to predict sales trends and turnover growth. With the numbers in hand, developing new business plans comes with much lower risk factors than ever before. Looking 15 years back, Computer Science ranked among the most lucrative career options with the internet flexing its potential across the globe. Every engineering aspirant aimed to become a programmer and owing to the demand-supply gap, the salaries were skyrocketing in the CS domain. However, with the flow of time, the gap bridged and payouts started to shrink. Data Science industry is observing a similar trend at present with an exceptional demand and low supply, the salaries are ‘’among the best’’ in the IT segment if not the best. A recent report by apex IT industry association, Nasscom depicts that 1.4 lakh jobs remain vacant in the Artificial Intelligence (AI) and Big Data Analytics domain across numerous sectors in India, out of the total demand of 5.1 lakh employees in the country. The report also highlights that about 3.7 lakh jobs are filled at present and the employee deficit would rise to 2.3 lakh by 2021, as the total demand touches a whopping 8 lakh employees. While data science has managed to claim a significant footprint in the IT segment, for a consistent investment the technology will have to overcome the challenge of shortage of high-quality skill sets which are crucial to make an entire data science setup business viable. Surveys depict the evolving of the data science and analytics on the rise and are expected to stir towards enhanced discovery, innovations, and insights: It is the future! The Banking and Financial Services Industry is expected to recruit about 8.4 million people as per the growth rate each year. BSFI workforce requirement between 2008 and 2022 is expected to be about 4.2 million and sector may create up to 20 lakh new jobs in the next 5-10 years. It is predicted that the growth of fintech companies will see a rise in hiring by at least 20%. It will turn these set of multi-taskers to a multi-skilled workforce, suitable for taking on the challenges of economic and technological changes. The state of Gujarat is targeting overall skill training capacity to reach 2.5 million by 2017. Incremental human resource requirement in banking & financial services with skilled and semi-skilled between 2017-2022 are 44,800 and 1, 34,400 respectively. Financial Institutions are realizing the importance of technology infrastructure, in order to capture larger markets, gain competitive edge & improve overall customer experience. 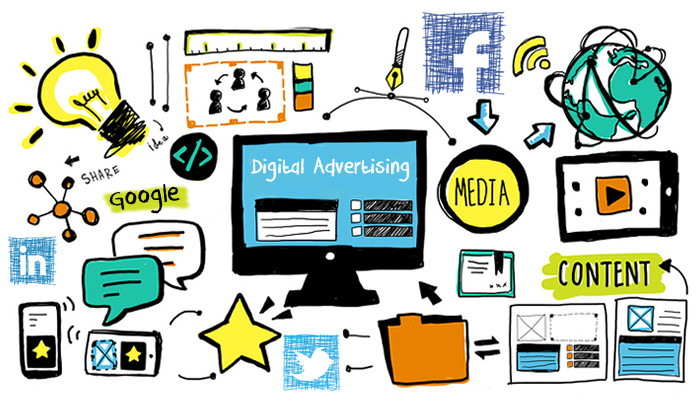 Digital Advertising – Where is it leading to…? 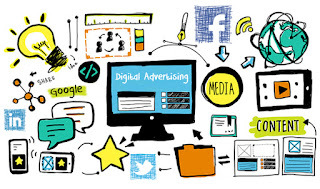 Programmatic advertising is the future of digital advertising and it will soon command a big share of the traditional advertisers recognizing the benefits. Programmatic content will no longer just dominate digital display advertising, but will shortly see the mass adoption of programmatic TV advertising. It offers great transparency to advertisers as compared to traditional advertising and media buying with locked-in contracts. Advertisers can track the success and effectiveness of their ads in real-time and have option of modifying geographies, target audience and more, in the middle of a campaign. The capability ensures that advertising dollars are not spent unnecessarily and maximum ROI is achieved. 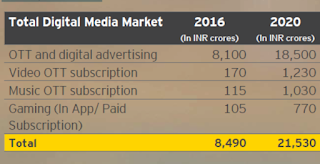 As per KPMG, Digital The new normal of marketing, 2017 report, At a projected 15.5% growth in 2016, India is one of the fastest growing advertising market globally with a large consumer base and burgeoning e-commernce industry. 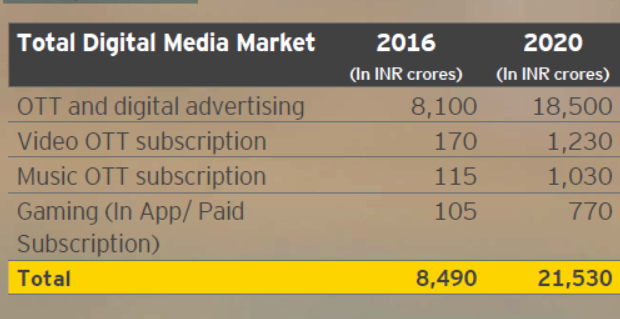 Although the share of digital advertising spend remains low at 12.7% in 2016, it is one the fastest growing mediums at a CAGR of 33.5% (2015-2020) with expectation of crossing INR 225 billion in 2020.